Home/ Featured Articles/Documentary: “Ghana For You” A Migrants Journey For Answers. Ghana For You, chronicles the journey of Adams Mensah and group of friends (Ghanaians and Belgians mostly living abroad) through Ghana as they talk to people from of varied backgrounds trying to gather their thoughts, opinions, expectations and plans for migrating abroad to seek greener pastures. There are varying motivations and influences responsible for Ghana’s brain drain, but it always leads down to the lack of better opportunities as many of the individuals in this documentary film expressed. The film takes the viewer on a ride through some parts of Ghana and immerses you into the lives of everyday people who have aspirations to travel abroad for one reason or the other. The questions raised in this film are enough to have anyone thinking. Whilst remaining visually engaging, the discourse is healthy and devoid of any blame games as to who is right or wrong with the stands on the matter. Adams himself migrated to Europe at the age of 14 to live with his father who has been living in Belgium for years. His way of living and way of thinking changed drastically. After living in Belgium as well as in Ghana, he is stuck with the following questions: Why do Ghanaians want to travel to Europe or other parts of the world? What are they missing in Ghana? What is the life style in Ghana? Lots of young Ghanaians are convinced they can only have a better life in Europe or in the western world and how is that accurate in reality? The film, the second documentary project from the young filmmaker was first premiered at Afrika Film Festival in Belgium and then has subsequently been selected and screened at the Zanzibar International Film Festival, Blackstar International Film Festival in Ghana where it won the Yaa Asantewaa Award for film as a tool for national development, Panafrican Film and Television Festival of Ouagadougo and now in Mashariki African Film Festival in Rwanda. With its subject matter being something, which is not peculiar to only Ghanaians or Africans but also every other third world country, ‘Ghana For You’ is likely to be selected by many other film festivals across the globe because of the approach it takes at starting a very much needed conversation. Filmmaker and actor Adams Mensah describes ‘Ghana For You’ as part of a bigger project he is working on. The film tackles racism and discrimination one is likely to face abroad since you are not treated equally in foreign country. It also seeks to address the unfairness of the visa system for Ghanaians who have genuine reasons to travel abroad whilst it seamlessly easy and hustle free for others for Europe and other parts of the world to access the country. Adams and his friends also address some of the misconceptions of living life abroad. Revealing that indeed the grass is not always green on the other side as several people leaving abroad have to rely on meager cleaning and odd jobs just to survive but keep up an appearance of living comfortable lives abroad when they return home. Another powerful element in the film is the poetry piece ‘Ghana For You’ by Evon Adjei, delivered in the film, which talks how about Ghana is being viewed through the eyes of an outsider, ourselves and how we are embracing western cultures and forgetting our own culture as a result of the colonial mentally who are yet to unlearn fully. This is a film that subtly also helps promote some of our tourist attractions. Giving the viewer a look at some of the nice beaches, waterfalls, national parks, museums as well as some of our culture and music. With the increasingly worsening economic hardships that Ghana is facing, there is no doubt that a lot more people are looking for their own ways out. Could they be making the right decision or there are simply no other options? 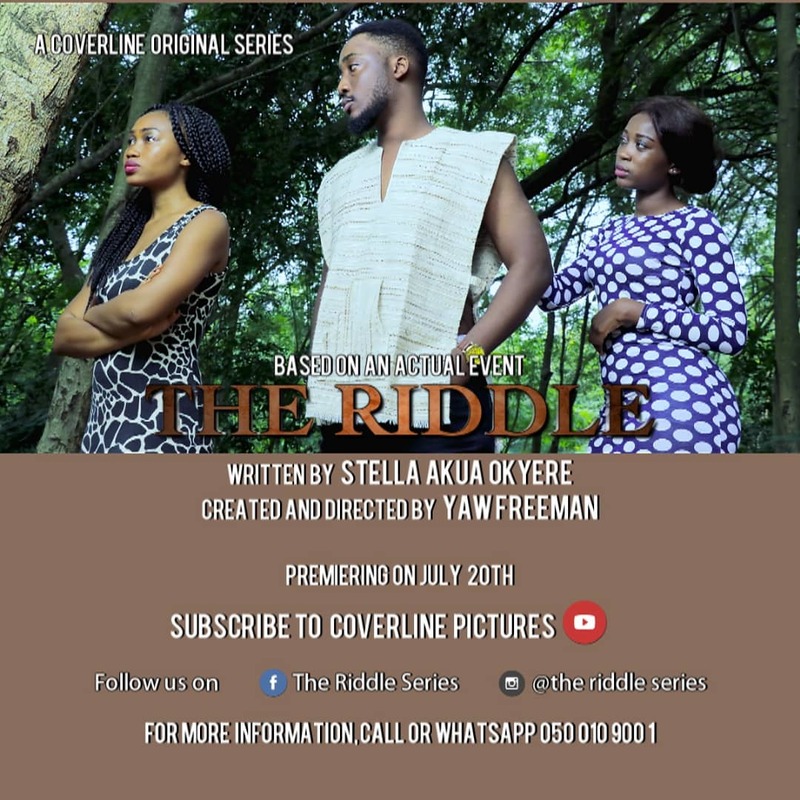 This film indirectly tries to get the attention of the Ghanaian government to do better at governance to help erase the idea of migration from the minds of Ghanaians. Ghana For You certainly helps provide some more perspectives and an endless healthy conversation. GUESTBLOG: Film, What Is It?